To steal from Mark Twain, the rumors of Wild West Day’s demise may have been exaggerated. The fall event has been held since 2003. It came from an idea by Johnny Ringo that he shared with Paul Rerich and had grown into a signature event for Cave Creek. 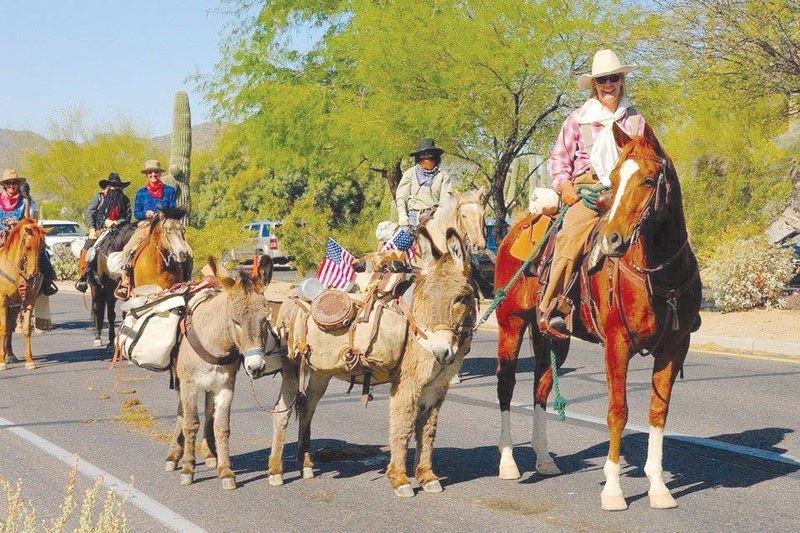 Recently it been under the auspices of the Cave Creek Merchants Association, who even hold the trademark for “Wild West Days.” However the association is nearly defunct. When word spread that there would not be Wild West Days this year, local social media page, Cave Creek Infamous Bulletin Board, organized a meeting to try and save the event. Nearly 40 people gathered at Harold’s on Thursday evening August 30. People were enthused about Wild West Days and the attendance was greater that organizers expected. The first step will be to see what assistance the Town of Cave Creek can give to keep the project going this year. By next year a 501(c)3 may be formed to be the entity behind Wild West Days. Johnny Ringo, Paul Rerich, and Ellen Alsever will meet with town officials.